Lead writer for Borderlands 2 Antony Burch tweeted a photo of someone sleeping on a couch, presumably at the Gearbox offices, but what is interesting about the photo is the cardboard cutout in the background for the fourth campaign DLC for Borderlands 2, Gameranx has reported. 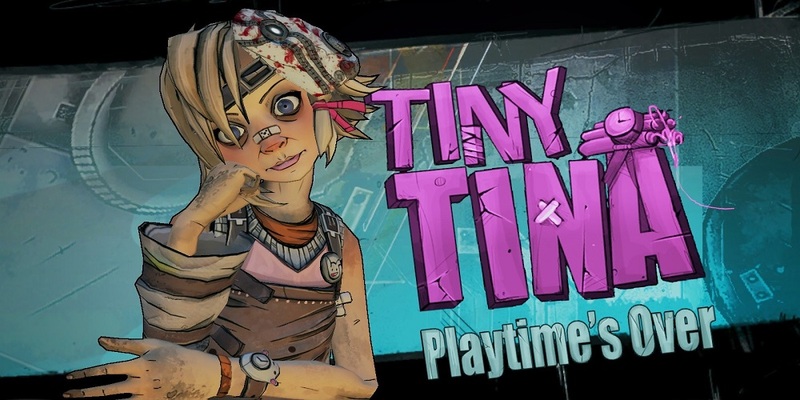 It’s called Tiny Tina’s Assault on Dragon Keep and I t was teased at the Gearbox Software panel at PAX East in March. The teaser trailer showed Tiny Tina playing what seemed to be a Pandorian take on Dungeons and Dragons with Lilith, Brick and Mordecai. Laughs were had, but a title was never released until now. The tweet in question has since been deleted, but Stealthybox managed to save the picture before it was taken down. It’s unclear if this was a mistake on Burch’s part or part of a larger teaser. What do you think of this new piece of DLC? Let us know in the comments below or head over to our forums.